This article has been flagged since June 2016. These are the glitches which are possible to perform in Majora's Mask. Please read the Glitch Disclaimer Notes before attempting any of the glitches on this page. This is the easiest and best way to transform and it works with all versions of Majora's Mask, including the GameCube version. It can be done in several locations but the easiest is in Termina Field, just outside the entrance to Great Bay. There's a small pool of water off to the side (to the right if facing Clock Town, or left if facing Great Bay) which Link must jump into. Once in the water, he needs to be positioned in a spot where he is floating, but if the Zora Mask were donned, he would stand. Once that had been achieved press 'A' to dive and shortly after doing so press the C-Button with the Zora Mask equipped, which will cause a regular transformation. Rapidly press B and, if positioned correctly, Zora Link will appear to "hop". While he's "hopping", try to take off the Zora Mask, and if done correctly the B button will go blank. Hold A and swim in the direction of land, and Link will roll and then stand up normally. If he continues to swim, the positioning is off and the glitch needs to be restarted. Once this had been achieved, the 'B' and 'A' buttons will go blank, and anything can be equipped to the C-Buttons. Equip the Fierce Deity's Mask instead of the Zora Mask and put it on to become Fierce Deity Link Link. First collect ten Rupees and then equip the Fierce Deity Mask to a C-Button. Now do the "Use Any Item On Epona" glitch and ride to the Gorman Brothers' race course and challenge them. Once the race starts, put the mask on and wait for the race to end. After it ends, you're off of Epona and can walk around as Fierce Deity Link. Note: This glitch only works in the American N64 and VC version due to the Epona Owl Statue glitch. On the Third Day enter Sakon's Hideout, either by waiting for Sakon to appear during the Kafei and Anju Quest or by using the "Sakon's Hideout before Day 3" glitch during the 3rd day. Before complying with Kafei's request to step on the switch, Link should put on a mask and wear it. Once the player is in control of Kafei, it is possible to open the Start Menu, go to the mask screen and place the Fierce Deity Mask over the mask on the C-Button. Once control is returned to Link, he will immediately put the mask on and transform into Fierce Deity Link. Once this is accomplished, all the player has to do is complete the hideout puzzle normally and then Link will be returned outside to Ikana Canyon as Fierce Deity Link. This glitch only works in the American and Japanese N64 and VC versions, since pausing as Kafei is no longer allowed in other versions. Fierce Deity Link's model is so large (much taller than most characters), that when he enters some buildings, he cannot exit, and becomes trapped. A prime example of this is the Stock Pot Inn. The guards in Clock Town will not let Link leave in this form; however, there are multiple ways to escape. The first method is to enter a body of water and put on the Zora Mask. The second method is to stand atop the Milk Bar (or the other buildings surrounding East Clock Town's exit) and jump towards the exit of East Clock Town. If aimed correctly, Link will jump over the guard's head and escape to Termina Field. The third method requires you to Z-Target and walk backwards past the wall to the entrance to Termina, then talk to the guard. Fierce Deity Link should touch the entrance to Termina, warping him to the field. Make sure to walk straight backwards and not on a diagonal, or else this glitch will not work. Also be sure to have Fierce Deity's model inside the guards before you talk. That way, Fierce Deity's sword will hit the exit and you will be in Termina Field. The fourth technique is in East Clock Town, near Honey and Darling's. Jump to the ledge between the two targets and run into the left target. If done right you should jump out of bounds headed right to the Termina Field exit path. Alternatively, before activating the glitch, you can plot an escape route through the Astral Observatory by gaining access to the Bombers Hideout, popping the balloon blocking the ladder, and planting a Magic Bean in the soil outside the observatory. However, since Fierce Deity Link is so huge, you have to hold the B button to perform a spin attack, and then move while still holding the button so he crouches down to get through the hallway. Speaking to the Bombers will cause the game to freeze, with the exception being the youngest guarding the entrance to their hideout (it will freeze if he has moved from his spot to let you pass, though). To activate this glitch, do any of the 3 glitches to become Fierce Deity Link outside of boss battles. Second, equip a Bottle. Normally, when the Bottle button is pressed, Fierce Deity Link takes out the Bottle and puts it away immediately, replacing it with his Sword. However, if you press the Bottle button a second time with the right timing (that is, when he has the bottle all the way out), he will fully swing it. When he does, he will capture anything! For example, if he captures water, he will Bottle a Fish instead; if he swings the Bottle in the air, he will catch a Fairy. Another way to use a Bottle it to go into an area where you cannot use a sword, e.g. a house or building. However, Fierce Deity Link can get stuck. As Fierce Deity Link outside of a boss battle, find any ledge that is approximately the same height as you. A good area would be the cliff leading to the Clock Town Great Fairy. Climb it, then slowly tiptoe to the edge. You will attempt to jump, then fall through the ground. You will continue falling until you reach the void, and be transported back to the entrance of the area. Go to the Potion Shop in Southern Swamp as Fierce Deity Link. Enter the building. On the right side there is a large pot. Squeeze your way between the pot and the wall and once you have reached the farthest in you can go, turn left or right 90 degrees and use Z-Target to do a sidestep into the space between the pot and wall. You will be launched at a high speed through the wall and past the shop desk. Then the camera will adjust and you will see the shop, but you will be falling for a bit in a red or purple void. Alternately, you can roll between the pot and the wall. If it is aimed correctly, Link can jump into the area behind the counter. Otherwise, Link will fall into the void. Go into the kitchen at the Stock Pot Inn as Fierce Deity Link and turn to the left as soon at you enter. There are crates on the left. Climb on top of them and run against the wall. Link will automatically climb through the ceiling and into the second floor hallway. Go to South Clock Town as Fierce Deity Link and climb atop the structure in the middle of the town. Use it to jump to the straw tent by the gate and climb onto the ledge with the chest. Aim your self directly across at the roof of the Treasure Chest Shop. Do a rolling jump to get across, but be careful not to slide too far, as you will enter the void. On the roof, move east and jump off the end of the roof onto the street in front of the Shooting Gallery. Notice that the door has an "Open" option. Click open and the game will believe you entered somewhere new, but rather you just appear behind the door. There is no floor here, so you will fall. And since you used the door, you will respawn over the void again and again. To end it, reset or wait until the Moon crashes. Enter the moon and talk to the child wearing Gyorg's Remains and give him your masks. Navigate the Zora Dungeon until you get to a ledge that contains the gossip stone with a Piece of Heart. Perform the "Be the Fierce Deity Outside of Boss Rooms 1" glitch. When you transform, continue swimming until you get to the tunnel that warps you back to the entrance. When you get there, use the portal to get out of the mini-dungeon. Now, you should be running around the moon as Fierce Deity Link! However, there is no way to enter the battle with Majora or enter another mini-dungeon. When you talk to the Moon Children, they will know you are wearing a mask, but you can't take it off since the game knows you're not in a boss room. Therefore, the only way out of this glitch is to reset the game. Also, do not take the route that leads you to the Gyorg child in the mini-dungeon. You will not be able to give him any masks, and you can't swim back because of the current. Complete Woodfall Temple and enter the Deku Palace. Put on the Zora Mask and perform the "Be the Fierce Deity Outside of Boss Rooms 1" glitch (even though there's no slopes of land filled with water in the Deku Palace, you can do this by walking up to a lily pad; when you roll into it, you should climb on it and Link will run in place). Walk to the Deku Shrine and talk to the Butler. Complete the race and you will then receive the mask. To exit the palace afterwards, climb up the tunnel normally entered to reach the Song of Soaring grave and make your way out of the Swamp back to Termina. Before performing this glitch, make sure you did not get at least one of the Piece of Hearts obtained inside holes scattered in Termina Field. Become Fierce Deity Link using one of the glitches above, and then enter either the hole near the Milkroad entrance with a Peahat or the hole near the mountain entrance with two Dodongos. Kill the enemies and once the chest appears, open it. First, activate the music box house in Ikana Canyon so the water flows in the river and wait until the Night of the Final Day and head to Ikana Graveyard. Equip the Captain's Hat and command the Stalchildren to open the grave they are dancing around. Do not enter the grave yet. After doing this, return to Ikana Canyon. Enter the body of water near the Owl Statue and find a curved surface. Perform the "Be the Fierce Deity Outside of Boss Rooms 1" glitch successfully.Now make your way to Ikana Graveyard, and enter the open grave. Guide Dampe like you normally would, but make sure to go slow, because since Fierce Deity Link is so large, it will seem like he is going faster than he really is when he takes a step, and Dampe will tell you that you are going too fast. Once you find the three flames, the Big Poe will appear, but fighting it is difficult, because Fierce Deity Link's Sword beams don't affect it, so you have to rely on your Sword strikes. Get as close to the Poe as possible; a good strategy is to wait until it charges at you to strike. Once the Poe dies, the chest containing the empty Bottle will appear. Open it to get the Bottle. There is no way out of the area, so the only way is to wait for the moon to crash or reset the game. Make sure that both files are reset to the beginning of day one. Then, in one file, ride Epona to the Owl Statue in Milk Road. Don't get off, save the game, and quit. On the second file, start the game, and you should be on Epona in Clock Town. This is similar to the "Ride Epona In Clock Town Glitch", but a few things change. First, make sure both files are reset to the beginning of day one. Afterwards, on one file, turn into Deku/Goron/Zora Link, and save at any owl statue.On the second file, ride Epona to the Milk Road owl statue; don't get off, and save the game. Go back to the first file, and play it. You should be on Epona, at the Owl Statue in which you saved your game at. Do not dismount Epona as Goron Link. The game will freeze. Call Epona, and ride to Milk Road, go to the Owl Statue and save (Don't get off of Epona). Go back in, and you will have the C-Buttons active on Epona, although they aren't visible. There are two ways to do this, both involving the "Use Items on Epona Glitch". Method 1: This method is by far the easiest. First, perform the "Use Items on Epona Glitch", and wear the Deku Mask, Goron Mask or the Zora Mask. You will drop off Epona, but you will still be able to control her. "Riding" to an area where the game would normally load the next area (such as the road to the Gorman Racetrack) will not cause the area to load, revealing that most of these "passages" actually close. Pressing the A button will result in Tatl telling Link that he cannot ride Epona, and afterwards, Link will be riding Epona normally. Interestingly, all of Link's forms have horse riding animations. Method 2: Perform the "Use Items on Epona Glitch". Then go to the Gorman Brothers Race Track, and challenge them. When the race starts, wear the Giant's Mask. You will be frozen in mid-air, but still able to control Epona. This glitch is similar to the “Epona in Clock Town Glitch”, but a few things change. First, make sure two files are reset to the beginning of the first day. Then, on one file, use the Song of Soaring to warp to Zora Cape. Check the Owl Statue, then save and quit the game. On the second file, exit Clock Town, and call Epona with “Epona’s Song.” Ride her to Milk Road, and don’t get off. Check the Owl Statue, then save and quit the game. Go back to the first file, and play it. You should be on Epona at Zora Cape. Get off her, and then play “Epona’s Song.” She should vanish, and be no where in sight. Exit Zora Cape, and then go back. You can do this a number of ways; but it does not matter as long as you leave the location, then come back. When you come back, Epona should be there, and act as though nothing has happened. First, do all of the necessary preparations for the “Teleport Epona Glitch.” But, don’t do the last step. Instead of getting off, ride Epona into Zora Hall. In Zora Hall, there should be a big hill which leads to the tallest area in Zora Hall, and to the Zora who wants pictures of Lulu. Normally, Epona couldn’t get in Zora Hall, and the game won’t let Link ride her up all the way. But, this glitch changes all of that. Ride Epona up the hill until the game won’t let you go any further. Get off Epona, and play Epona's Song in front of Epona, and a little higher up the hill. Make sure when your Ocarina is out, that you can see at least part of Epona. (It does not matter which part you see, as long as it is in view.) Once the song is played, run/roll up the hill, and then Epona should run towards the side of the hill, then up it. Epona should stop when she is almost to the top. Get on Epona, and ride her to the rest of the way up the hill. The game has no borders near the cliff for Epona in this area. This lets Link ride Epona off the cliff and onto the floor below. How to: To perform this glitch, activate the Infinite Sword Glitch. Next, equip a Bombchu and begin Z-Targeting. Jump backwards, press the button you have the Bombchu on, and then hold down R quickly. Link will backflip, pull out a Bombchu, and then drop it by pulling out his shield. When the Bombchu explodes, it will hit Link's shield and cause him to float. This can be repeated to enter areas early. Notes: If you do this from ground level, you must do two of these in quick succession or else Link will return to the ground after the first one. Activate the Infinite Sword Glitch. Stand with your back to the big block of ice, hold Z & R, and backflip. The ice won't freeze you, and you will be standing on it. Keep backflipping until you go through the ice. Activate the Infinite Sword Glitch and stand in front of the big fence. Face away from it and simply hover a few times to get over it. An easier way is to have the Goron Mask and the Bomb Bag. As Link, set a Bomb behind you. Then, transform into Goron Link and hold A to curl, wait until the Bomb starts blinking fast, then press B to Pound but let go of A while in the air to uncurl. If the timing is done correctly, the Bomb should explode while Goron Link is in midair, and he will be sent over the fence. Once there, you can hit the Owl Statue and get the Zora Mask. As an alternative, if you want to either save a Bomb or avoid using regular Bombs altogether for whatever reason, you can lure a Chuchu from the border between West and South Termina Field to the gate and time your Pound so the Chuchu hits the moment you cancel the Pound at the zenith of the jump. This should put you either on the other side, or on top of the fence, in which case, jump off to the exit side to prevent more damage. In Zora Hall, on the giant shell in the middle of the room, there are two shell speakers/amplifiers. Link can get into one by simply backflipping a few times in front of it. The speaker/amplifier which is being tuned by a Zora cannot be reached. As Deku Link, face your back to the soldier guarding the east gate out of Clock Town. Walk backwards towards the soldier from his right and if done correctly, Deku Link will go pass the soldier, and into Termina Field. If this is done before Link gets the Deku Mask, there will be no sound, or enemies in the Field. In East Clock Town, there is a Bomber guarding the entrance of the sewers which led to the Astral Observatory. You don't need the passcode to go through, instead, get far enough away from the Bomber, so that the “A” button does not say “Talk”, and do a few backflips in the space between the Bomber, and the wall. If done correctly, you should get past the Bomber, and be able to go to the Observatory. In Zora Hall, there is a giant shell which the Zora band plays in. Go behind the shell, and take out Link’s sword. Do a few Jump Attacks until you go through it. To get out, simply go forwards, towards the water surrounding the little island. All of the following glitches can be undone by resetting the game. Do the "Fierce Deity outside of boss battles" glitch. Then go to to Clock Town, and talk to one of the Bomber kids or the man who runs the Shooting Building. The game will then freeze. First, do the "Fierce Deity Link outside of Boss Rooms 1", but with a slight change. Instead of equipping the Fierce Deity's Mask, equip the Hookshot or Hero's Bow. Now just shoot with either of them. Zora Link will fire his Boomerangs, but when they're a foot away from him, Link's controls will freeze except for the B button and the button the Hookshot or Hero's Bow was assigned to. When playing the Bombers minigame, one of the Bombers hangs from a Cucco. Normally, he will be seen flying the Cucco to an area. However, he is originally hovering in midair (something that Cuccos are usually incapable of). If Link shoots the Cucco, it will fall down but the Bomber will remain stuck in midair. Take out the Ocarina of Time/Guitar of Waves/Drums of Sleep/Pipes of Awakening and put them away. Just as you hit B to put them away, hit C-Up to go into first person. You can see the Ocarina in first person! If you do this while holding the Hookshot, you will be looking inside the Hookshot. You can see that the Hookshot is actually a silvery color inside. You can now go to the Start menu and change a item for the Hookshot, but you'll still be holding the Hookshot. Once Goron Link has obtained the Rock Sirloin, going to the Mountain Village and jumping in the water will warp him back to the loading zone that the young hero went through, except he will now be carrying the Rock Sirloin as Child Link. Prerequisites:Ice Arrows, the Deku Mask and a Bottle of Chateau Romani. Head to Zora's Cape and drink the Chateau Romani, this will give you infinite Magic. Shoot an Ice Arrow in the water, put on the Deku Mask, and hop to the new platform. (You can hop to it as Link, but it will be harder not to slide off.) Take off the Deku Mask, and repeat. Once you are there, you can see what the model looks like from up close. Start the Bombers Minigame and go to East Clock Town, and go up the stairs which lead to the Mayor's Official Residence. Turn right, and scare the Bomber near the edge, with the Cucco in his hands. Jump off the edge, and grab the Cucco. Go back to where you were, and throw the Cucco on top of the fence. Get on the fence, and grab it before it runs off of it. Jump off the fence, and towards the wall. You will go through it, and into the void. You will continue to float until you let go of the Cucco. This glitch allows Link to hold invisible items and use them. To do this, pull out the item in Clock Town and press the A button to check the mailbox. When the mailbox asks you to deposit mail, click the C-Button which has the item you want to make invisible. The mailbox will not accept it, because the item is not mail. When the dialog box is gone, Link should be holding an invisible item, but still fully functional. When performed with a Hookshot, it will become invisible, but also will not be able to hit or latch on to anything. The Hookshot "dot" and chain will be invisible as well. When performed with the Bow, it will not be able to hit any targets. This glitch also works by using the Gibdos Beneath the Well instead of the mailboxes. Through this glitch, whenever Link's sword is drawn, it will be automatically swung causing damage to enemies without you having to press B, yet also without Link actually swinging his Sword. This glitch is also needed to perform other such glitches as Bombchu hovering. To perform this glitch find an item that Link can interact with, such as signs, dogs or Bombs. Go up to your selected item, and crouch down with your Shield. Press B so that Link stabs with his sword, but make sure he doesn't actually hit anything but air. Push A once so that Link reacts with the item, whether by reading it, picking it up, or talking to the character. If using Bombs, you'll need to be quick to avoid it exploding. If done successfully, you'll see a white trail behind his sword when moving, showing that the glitch has been activated. To draw Link's Sword while its sheathed, you must draw it in mid air. In file 1, save at any Owl Statue. Next, in file 2, become Zora Link and then hold B to take out your Boomerangs. If you are not Z-Targeting on anything (or holding Z down), the camera will begin zooming in and out rapidly in a failed attempt to switch to the normal Boomerang targeting view, and Link will be unable to move until you release B. This only seems to happen if you are saved at an Owl Statue in file 1. Head to the entrance of Sakon's hideout. Face the rock blocking the entrance, and look to the bottom right where there is a crack between the rock and the wall. Equip the Bunny Hood, and run at that small crack, rolling just before contacting the wall. This usually will take a few tries, but soon enough Link will roll through the crack, jump, and enter the hideout. Note that if the Anju and Kafei sidequest is complete (up until this point), you can use this glitch to redo the puzzle inside if the first attempt is unsuccessful. This can be performed endlessly until the puzzle is complete. Execute the "Enter Sakon's Hideout before Day 3/Anytime" glitch. Step on the switch, and turn into a Goron. Roll past the door, and push a block into the blue switch. If you are not fast enough, you will either not make to the door, or the door will close on top of you and you will teleport back outside of Sakon's Hideout. Afterwards, a short scene should play, and Tatl should tell you to enter the other room. Since it is not day three, your views will vary from Link's to Kafei's. But, you will play as Link throughout the glitch because Kafei is not there. Exit the first room, pass the main room, and enter the room with the Deku Baba. Kill it, and go back to the first room. Go back to the lower room, through the door, and into the next room. Wait there until the third day. Once it is day three, Link should be in the main room, and on the switch. Kafei is behind him, and will go up towards the Sun's Mask. Kafei will go through Link, then stand in front of him. Sakon's security system should start, and the Sun's Mask should begin to go down the beltway. Kafei should run towards the door, but stop because the door shuts before he can get through, despite the two doors in the main room being opened. Since both doors are opened, walk off the switch, and then back on. This re-activates the lower door’s mechanism to open/close. The door leading to where the Deku Baba will stay open, but the other door will open/close depending on the switch. You cannot get to the Sun's Mask because the system is messed up, and Kafei stays in front of the lower door. Exit, and then come back for everything to be back to normal again. This glitch allows you to play past the three day time limit, and explore Termina without the limitation of a clock. During this time most of the Terminans are gone, and the Moon has vanished. Because of the nature of the glitch, there is no way to complete the storyline with this glitch activated, so don't use this glitch just to give you unlimited time to complete the game. Once this glitch has been executed, there are some actions that cannot be done, and some other glitches which can be activated. To do this glitch, go to the astral observatory near the end of the 3rd day, and look through the telescope by talking to Professor Shikashi. As you are looking through the telescope, carefully watch the clock. You need to press B to exit the telescope view as close to the clock reaching 00:00:00 as possible, but if you let it reach zero, it will be game over. If you are successful, once you have exited the telescope view, and spoken to the Professor, the clock will have vanished from the bottom of your screen, and time will flow uninterrupted past the three day limit. To use your items again, you will have to talk with the scarecrow and go forward to the next night. Playing the Song of Time will cause the game to freeze. You'll need to reset your console or play the Song of Time to deactivate the Fourth Day glitch. Talking to the Clock Town mayor in his office, who is conducting the meeting with carpenters and the guards, will cause the screen to go white, the game will freeze, and the music will play faster than normal, but it is rather choppy. Everyone except for the mayor and Link are invisible during the meeting, and the camera does not pan between the parties. Dialogue text from all the parties are visible on the screen, and the game freezes once the dialogues are finished. Through using this glitch, Zora Link will be able to fly in the air above the water. It will appear as if he was swimming normally, however he will be floating in mid air. This glitch will only last as long as you can keep it going, and eventually you will decline back into the water. To begin, go to the area of Great Bay Coast where Zora Hall is located. Just offshore, near the cave entrance to the area, you will see a Like Like. Equip the Zora Mask, and defeat the Like Like however you prefer. Float stationary above where the Like Like was and face directly towards the shore. Now quickly swim towards the shore using A to go faster and just before reaching the shore pull the control stick backwards. Again tap A and steer Zora Link back over the water. Most of the time this will succeed, but if not give it another shot. Once in the air you'll need to keep tapping A to stay in the air. There are other areas of Termina where the it is possible to do this glitch, however it is a lot harder to do. One such place is the Spring Water Cave in Ikana Canyon. Do the “Get Into Sakon’s Hideout Anytime Glitch.” Once inside, go into the main room, and step on the switch. Turn into Goron Link, and roll past the door before it closes on you. Push a block on the switch, then you should be back in the main room. Go to the new room, and kill the Deku Baba. Go back to the main room, and do what you did before to get into the bottom room. Stand behind the block closest to the door to the next room, and pull in two/three times towards the door. You will have to pull it three times if that is the block you used to weigh down the blue switch. The block should be right under the door now. Step on the blue switch, and the door should slam down on the block. The block is now stuck in between the doorway, and is halfway through the door. This cannot be undone unless you exit the hideout, or restart the game. To execute this glitch, you will need to have the following: the Romani's Mask, Kamaro's Mask, Bunny Hood, Deku Mask, Goron Mask and Zora Mask. First, enter the Milk Bar using the Romani's Mask and agree to perform. Complete all of the acts except the Hyrulean act. Now, equip the Bunny Hood and dash at Toto. When you're next to him, equip the Kamaro's Mask (while still running) and press A. Perform and get the Circus Leader's Mask. Link will run as fast as he would with the Bunny Hood, despite not wearing it. If Link actually wears the mask, he will run even faster. The glitch is canceled when Link leaves the Milk Bar, or if he transforms. Enter a room in the Pirates' Fortress where you will battle a Pirate. When Link is in range of a lantern, equip the Hookshot and fire at a lantern without triggering the fight. Link will latch onto the lantern, and will fly towards it. While in mid-flight, Link will trigger the fight while the Gerudo pirate appears from the ceiling. Play the Honey and Darling game on any day. As the minigame ends, dangle from the edge of the platform. When the game ends, your B button will be blank. Play again and jump off the platform. The Ocarina of Time will appear on your B button. Note: This glitch can be put to full use during the Twinmold fight. While wearing the Giant's Mask, you can use anything that is on B. If you play the Elegy of Emptiness, you will make a giant statue of Link, and if you play the Song of Storms, you will have unlimited magic. Because you don't have your Sword equipped, you can't actually fight them, making the fight pointless unless you have obtained the Great Fairy's Sword. This strange hole floats above the lake. In the Northern Mountains, there is a secret grotto entrance which floats above the frozen lake. To reach it, use Bombchu hovering or the levitation cheat. The grotto inside is the Great Bay Gossip Stones one. Upon exiting the grotto, Link will return to the frozen pond. First, heal Pamela's Father. Then, go to the closet where Pamela's Father was and wait until the Dawn of the Next Day. On the Dawn of the Next Day, the closet will close and Link will be stuck inside. Note: This will not work if you play the Song of Double Time. Go to the part where you have to pull Mikau out of the water. Get close enough to the land where you would stand as a Goron. Because at this height Mikau will normally get up and stand, quickly use the Goron Mask and grab him. You will hold Mikau over your head and he will moonwalk in mid air. Note: This essentially freezes your game and you will have to reset. Effect: Allows you to do Sword slashes while you have the Infinite Sword Glitch and Bremen Mask on. Activate the Infinite Sword Glitch and equip the Bremen Mask. Have your sword out and press (B) repeatedly. The white slash will form a wide break around your entire right side making an effective sword slash. If you do this with the GFS or a Deku Stick, you will make a similar slash, with a wider, albeit pointing upward slash that does wonders on aerial foes. This will not cancel the ISG and you can do it without end. Perquisites: Stone Mask, Access to Stone Tower Temple Go to the first room of the Stone Tower Temple. Lure a Dragonfly over by the platform in the middle, then lure it into the pit below. Equip the Stone Mask and climb back up. The shadows will be moving around, even though the Dragonflies are below them. The shadows will even move over the pit, floating in mid-air. Requirements: Romani's mask, Circus Leader's Mask, all of the transformation masks. How to execute: First, go to the milk bar at night. Then talk to the Indigo-go's manager. Do all of them in no specific order. Whoever you were last after you get the Circus Leader's Mask AGAIN, your run will be slow. It only lasts until you switch to a mask or leave. As Zora Link, play a note for the Zora doing a sound check on the stage at Zora Hall. The Zora will comment that the volume is too quiet and needs to be made louder. If you play another note, the Zora will then say that the volume is too loud and lower it. While the volume is loud, if you take off the Zora Mask or change to another mask and begin playing an instrument, the notes will sound like those of the Guitar of Waves and will still sound loud. The Zora, however, will not recognize and lower the sound when the Zora Mask is not being worn. Another glitch can be performed while the Zora doing the sound check is saying the volume is too quiet or too loud. While the Zora is speaking, you are able to play notes from the Guitar of Waves. This only lasts until a few seconds after going to the second box of the Zora's speech. While being close enough to Kamaro to hear the music, put on Kamaro's Mask and dance. After you dance, the background music of Kamaro's song will malfunction until it resets. While Link is a Hylian, stand in-front of the Goron Elder's Son in the Goron Shrine and hit the throne with your Sword twice. Link will then slide across the room. 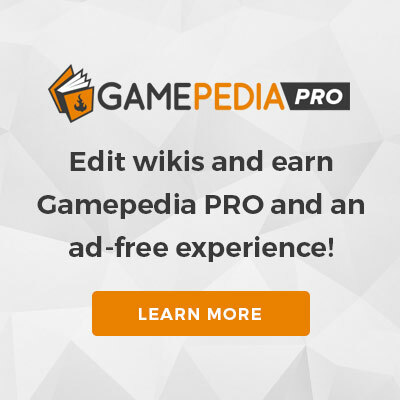 Zelda Chaos, Zelda Wiki's top glitch affiliate that specializes in verifying hacks, explaining glitches, and providing up-to-date information on all things exploitable in the Zelda series. This page was last edited on 9 February 2019, at 04:42.